I wrote this after a recent trip to Israel. As tourists, everything seemed calm for us at first, and then we went to Ramallah, Nablus, and Bethlehem. We felt a call to pray in the ancient city of Shechem. A couple was killed with their children in the back seat of their car in the area we visited that night. We went to Jerusalem and casually wandered the ancient passageways. 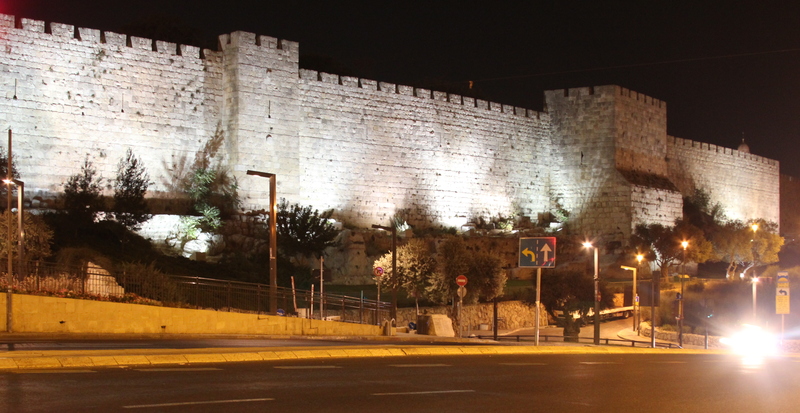 That night a Jewish couple was attacked just inside the Lion gate. The husband was killed and a rabbi who came to help was also killed. The attacks increased during our stay. The question of walls and protection weighs heavily in Israel, and on my heart.